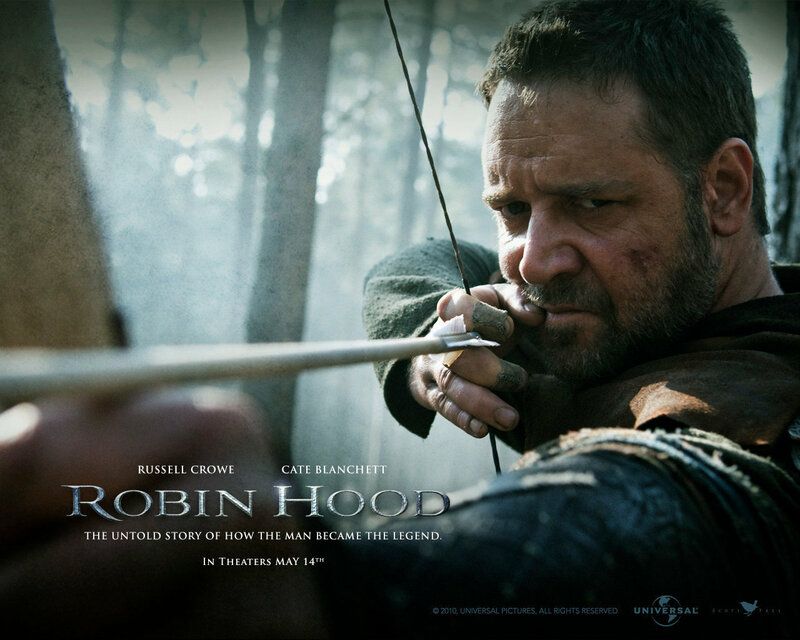 The road to Robin Hood was mapped out in 2007, when Universal Studios obtained a speculative script from two Hollywood writers. The studio bought the script for an undisclosed 7-figure amount and hired Resell Crowe to star, with the actor agreeing to a $20 million check for the role. In April, Ridley Scott was hired to direct. He did not like the general outlook of the script, and delayed filming in a bid to right some of the areas he considered “loose”. 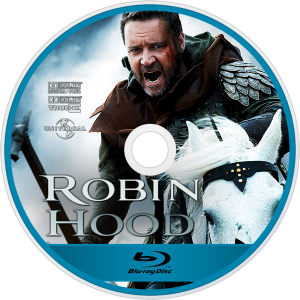 Various parts of the plot were altered-for example, in the original edition, Hood wasn’t an outlaw and the sheriff of Nottingham wasn’t as mean as depicted in the movie itself. Initially, the plan was to film the movie in 2008 and have it released in 2009. Some of the first scenes were to be recorded in Northumberland, but things did not go according to plan because of a WGA strike in the US. 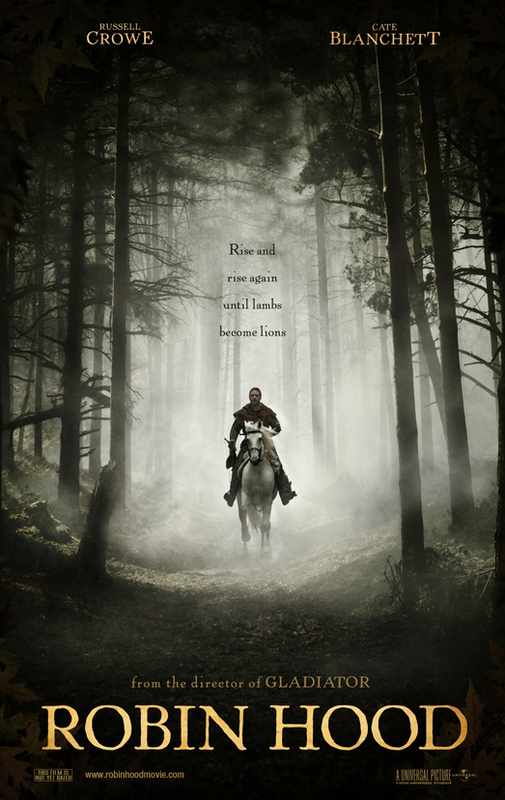 The next plan was to film in Sherwood Forest, but this was again, scuttled. The studio hired Paul Webb to rewrite the script yet again, and the release date was moved to 2010. In February 2009, Scott revealed that there had been major tweaks in the plot, and that the Robin Hood persona was perfect. The idea was to film around the UK, but the team faced a hitch when they realized that most of the forests they wanted to film in were pollarded. The director then decides to film around London in places where trees looked natural. The crew finally got to work on 30th, March 2010. In the months of June and July, most of the filming took place in Wales. After that, there were various more locations scattered across the UK, and they were chosen primarily because they reflected well on key aspects of the plot as well as the time and place of the events. You are going to see a rather conspicuous battering ram in this movie. Well, the crew called it “Rosie”, and was valued at £60,000. After the filming, Russel Crowe donated it to a charity in Scotland, where it is regularly used for re-enactment of battles during medieval times. 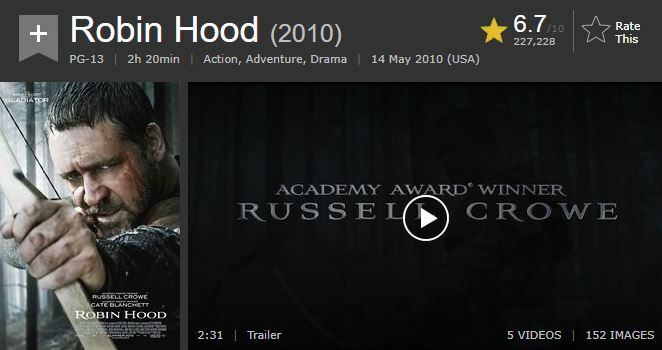 On May, 12, 2010, Robin Hood was released in a dozen countries. The following day, it became available in 23 more countries and 17 more the day after that. USA and Canada were among this last batch. It was only released in Japan in December.